Cuyuna Lakes Whiteout – this weekend! 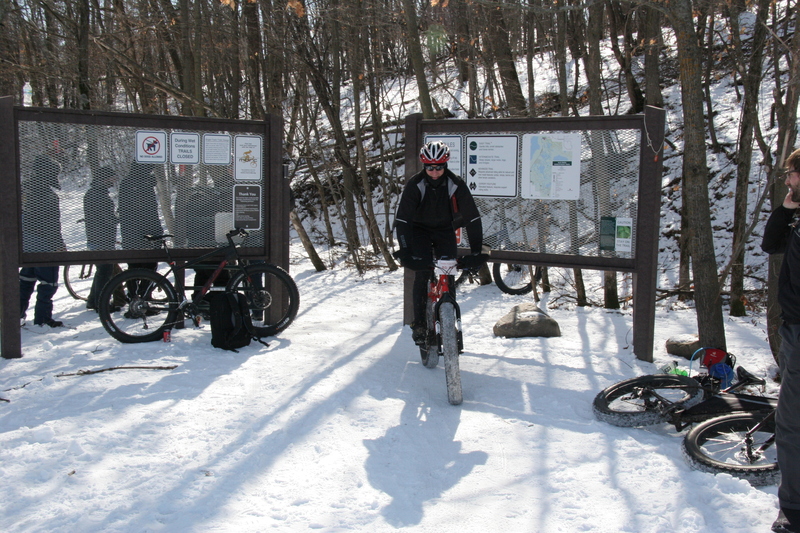 Cuyuna Lakes Whiteout - this weekend! 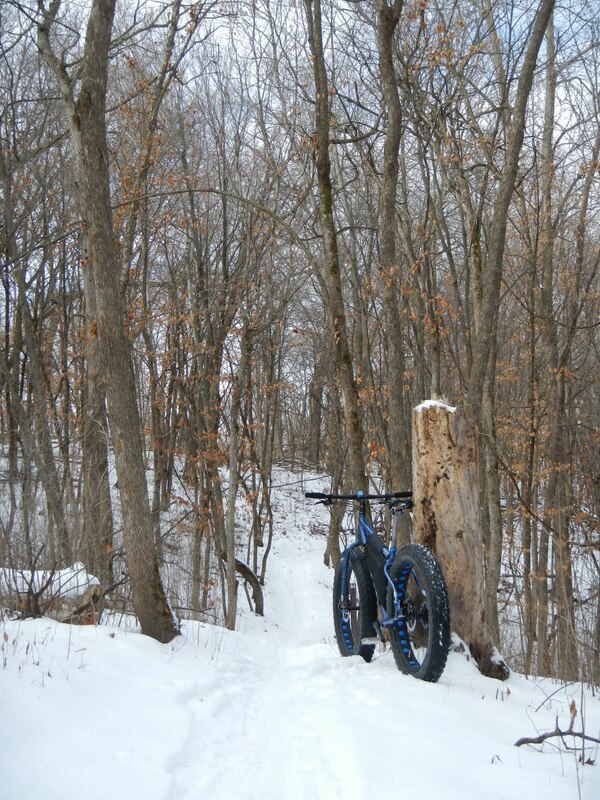 As I look out the window and see snow falling (in a MN winter that has been largely snowless), I can’t help but think about what amazing fortune we had to have snow-covered trail for last weekend’s Fatbike Frozen Forty. By the same token, the Cuyuna Lakes Whiteout this weekend in the Brainerd Lakes area is equally blessed with the amazing recent snowfall. I’ve been following the Cuyuna Lakes Whiteout information and updates, but am unfortunately unable to attend. 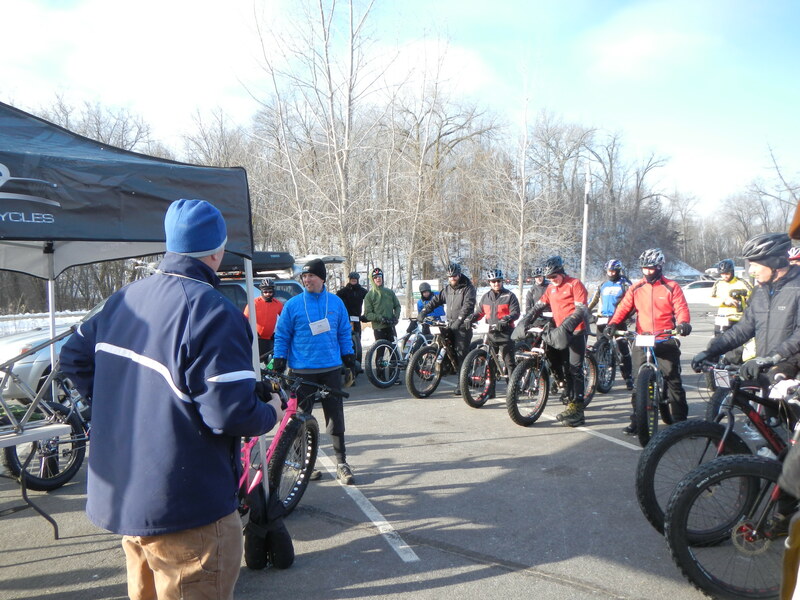 There are quite simply too many great fatbike events in MN (and elsewhere) to get to participate in all of them. The folks putting on the Cuyuna Lakes Whiteout obviously have done their homework, and have created what appears to be an exceedingly well organized and exciting fatbike event, winter race, and festival. I wish them great luck and success with their event this weekend. They are continually updating their site with new information about the event, so be sure to check in from time to time if you’re interested about what they’ve got going on this weekend. For those of us who are observing but not participating, we’d love to get a race report and recap from someone who was in Brained this weekend for the Cuyuna Lakes Whiteout festivities. If you’d like to see your photos of the event and race report on RideFatbikes.com (with a visibility of over 5000 visitors a month), Contact Us to submit your post and photos for consideration. Who knows, maybe your photos can even be showcased in the Fatbike Gallery! 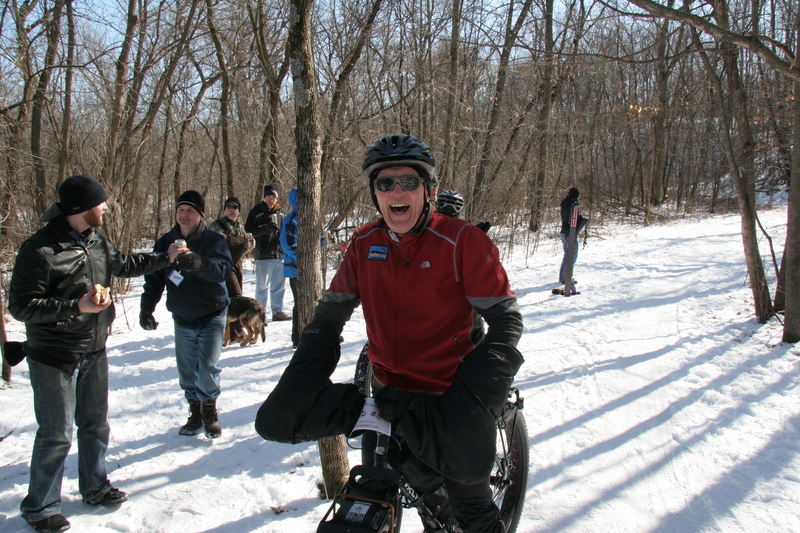 It’s awesome to see the amazing races and fatbike-focused winter events occurring throughout Minnesota and around the country. We’ve spent so much time and energy focused on building and reporting the success of last weekend’s Fatbike Frozen Forty (a first year event organized by Ride Enterprises / Brad Boyd and sponsored supported by headline sponsor Twenty2 Cycles), that it’s been hard to find time to report on the many other fabulous races. For those of you who regularly follow RideFatbikes.com, and who attend some of these races in Minnesota or in your own state, we’d appreciate having your race reports submitted to us for guest posts! Would you like to see your name connected with a great race report that’s visible to over 5000 visitors a month? 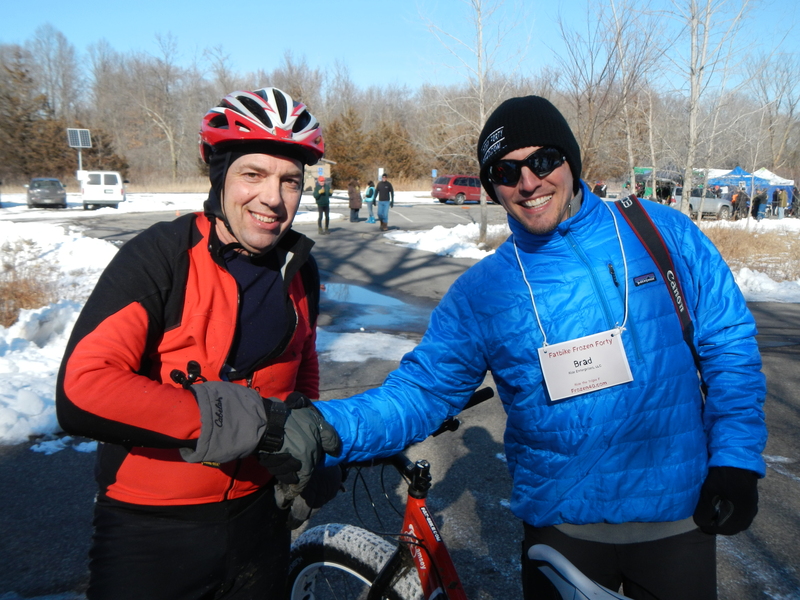 After you attend or participate in a great fatbike race, write up a race report (with photos from the event of course) and submit it to us for review and possible posting at RideFatbikes.com. 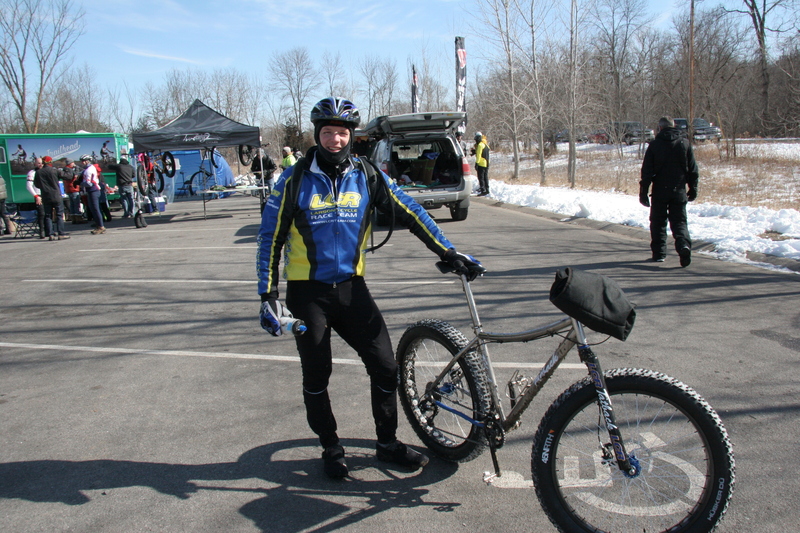 We’d love to circulate more fatbike news, fatbike race reports and reader write-ups, Contact Us with your ideas. In the 3 short days since the Fatbike Frozen Forty (Triple F), we’ve been extremely busy reviewing and responding to all the positive comments on Facebook, Twitter, the MORC forum, and email. It sounds like the consensus is that this event should definitely occur next year. Be sure to tell your friends to check out the photos and race recap while it’s still fresh, so they remember your enthusiasm from this year when registration starts next year. In the meantime, we’ve had several racers request that we post the full race results. Remember, this is a grass-roots effort that had tremendous turnout, and we don’t have dedicated staff or updating gremlins that get all the pictures sorted, recaps written, etc. All the post-race wrap-up requires time. 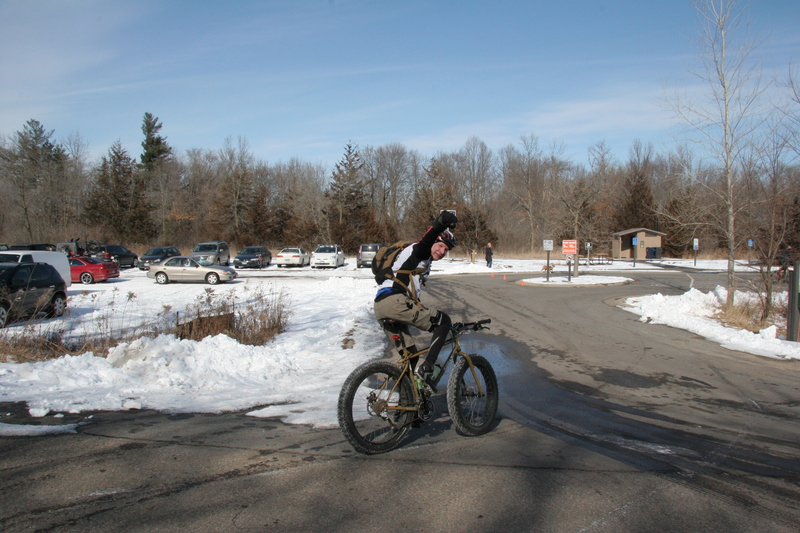 With that in mind, here are the results for all racers who finished the 40-mile open class at Fatbike Frozen Forty 2012. We had over 45 racers, including teams. There were a total of 17 racers who finished all 40 miles in the 40-mile open solo class. 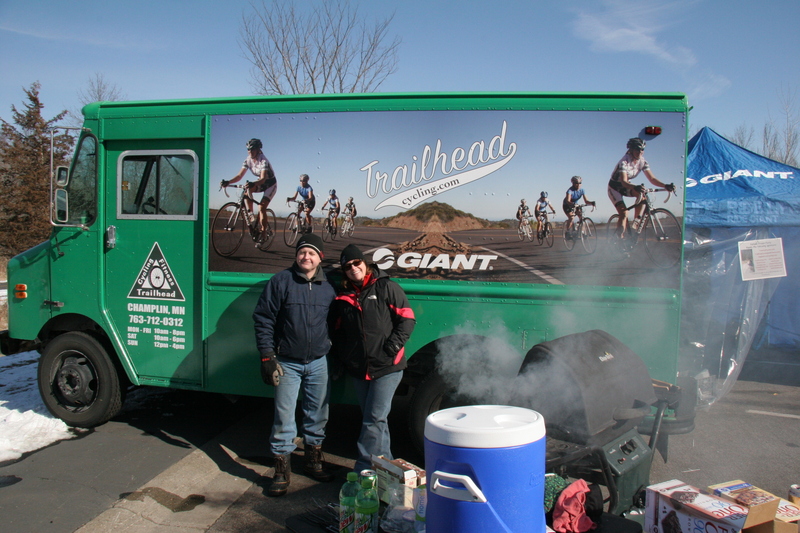 2 teams finished all 40 miles in the 40-mile team class. 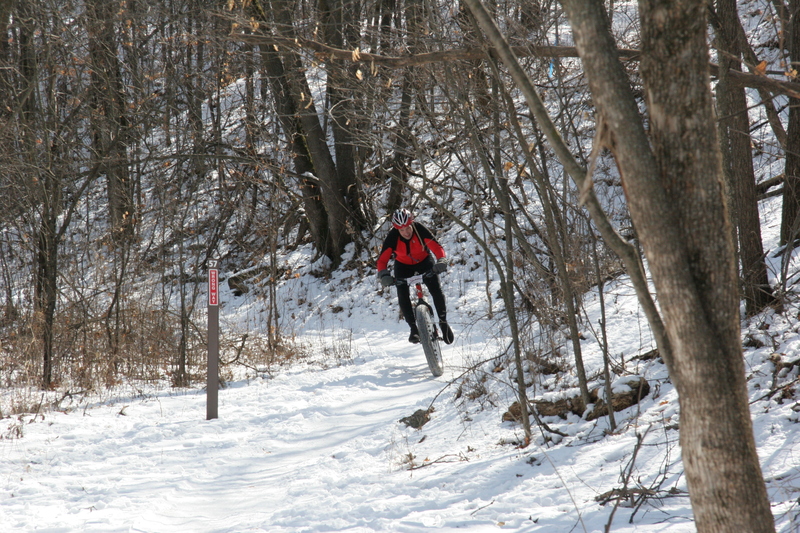 The singletrack mountain bike trails at Elm Creek Park Reserve could not have been more perfect – snow-covered and nicely packed; it made for a fast and perfect fatbike race course. 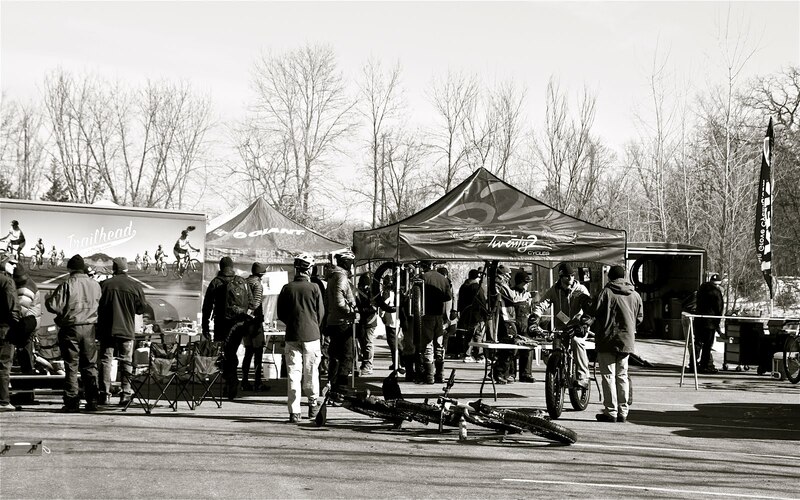 The twist in our race format for the 2012 Fatbike Frozen Forty was our “King of the Triple F” event. The racer who logged the most laps in 6 hours was awarded “King of the Triple F”. 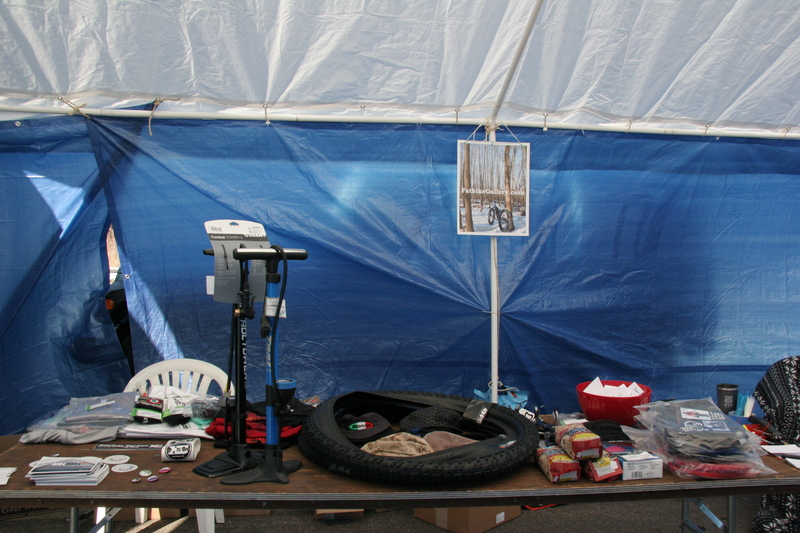 The prize for the King of the Triple F was a pair of Husker Du tires, donated by Triple F sponsor 45Nrth. The 2012 King of the Triple F is CJ Smith (3rd place finisher in the 40-mile open class). There are some great photos and write-ups by some of the photographers and bloggers who attended the Triple F. In one of our next posts, we will provide some of these links. 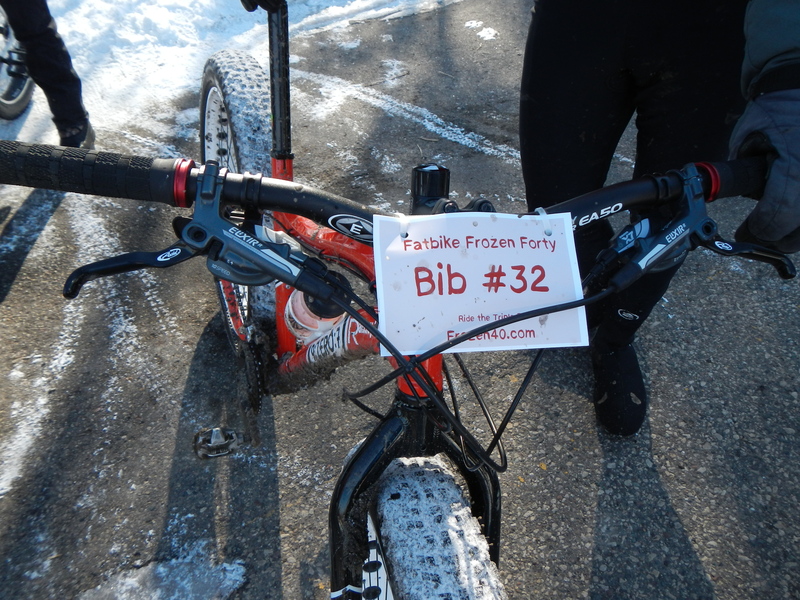 If you’d like everyone to see your Fatbike Frozen Forty photos or race recap, please leave a comment here or Contact Us so we can include yours. Again, a huge thank you goes out to all participants, sponsors and volunteers. Twenty2 Cycles, from Vail, Colorado was the primary/headline sponsor of the 2012 Fatbike Frozen Forty and was invaluable in supporting this event from the beginning. 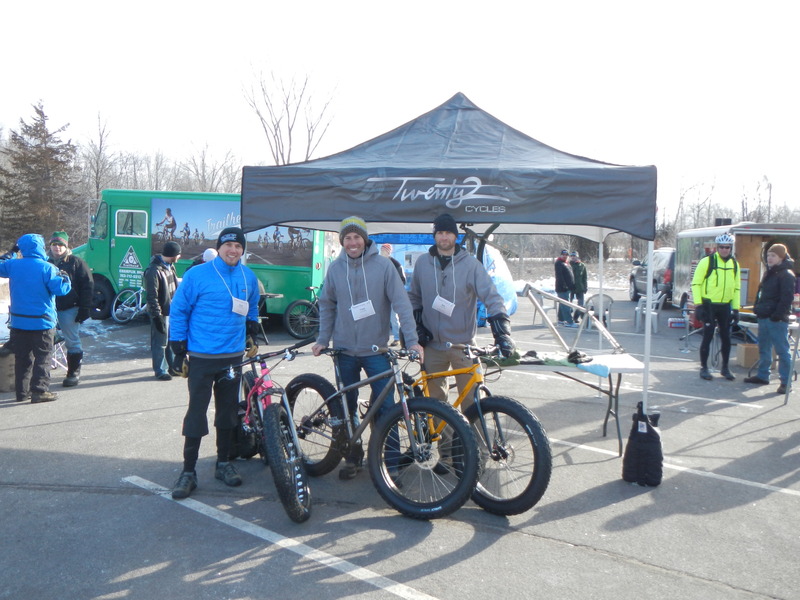 Ben and Todd travelled from Colorado to display and demo their custom-designed and handmade-in-the-USA fatbikes, and helped with race planning, supporting racers on the day of the event, and being an advocate of this grass-roots race when it was only a concept. Twenty2 Cycles, thank you! 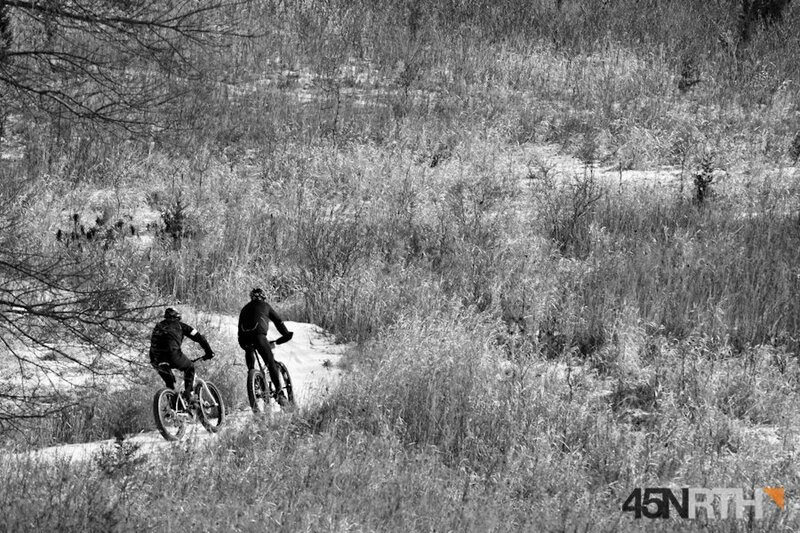 For everyone riding or sponsoring the Fatbike Frozen 40, we plan to contact you in the next couple days regarding a possible trail/venue change for next Saturday’s Frozen 40 event. Either way, we are still on, and we will still begin registration at 8am and first wave of ride at 9am. However, we might not be at Elm Creek Park in Maple Grove. While the Elm Creek Park singletrack is a wonderful place for our event, the trail is currently closed, due to unseasonably warm weather. While they suggested that there might be a possible alternate trail/option, nothing will be known or confirmed until just days before the event. This is neither desirable nor predictable, but welcome to a crazy winter in MN. Many great MN events have been rearranged or cancelled due to weather. We’re working on an alternate/contingency plan venue. 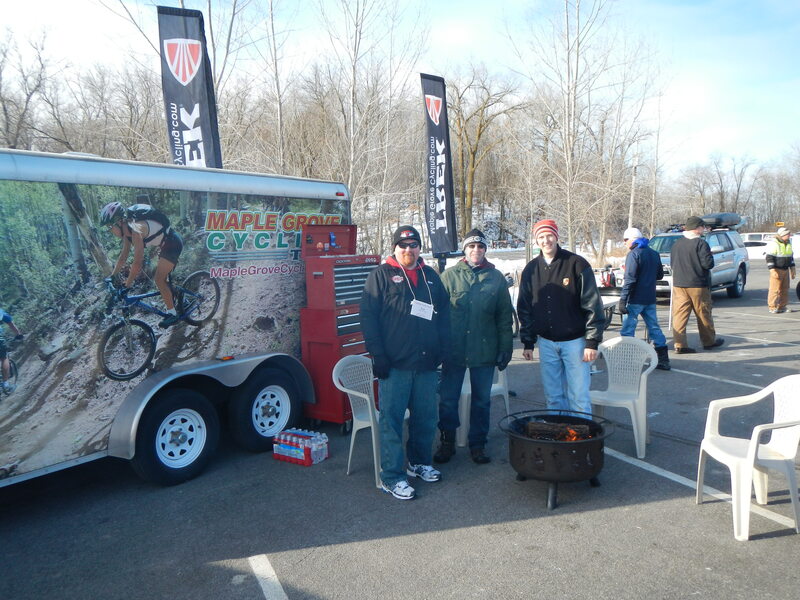 Originally, our contingency plan was at Elm Creek, but all of their trails have some limitations that may make our event unwelcome at Elm Creek. our contingency venue might be every bit as exciting and fun as Elm Creek, and will be sure to have its own points of interest. If you’ve already registered or were thinking of registering, you’re still in for a great event; just be flexible and please be prepared to join us at a different site on Saturday morning (alternate venue will also be in Twin Cities metro area and no more than 30 miles away from Elm Creek). So, stay tuned here on RideFatbikes.com for more updates/info. We’ll also update you with new info at Twitter (follow @RideFatbikes) and will try to keep Frozen40.com updated as well. Sorry for the last minute changes, but Mother Nature dealt us a wildcard this year. With great sponsors and prizes, and a fun day of riding, this is still a can’t-miss fatbike event.